It has been five years since the release of OBSCURA‘s universally acclaimed Omnivium album. Now the progressive metal masters return with their strongest and most dynamic release to date. The aptly named Akróasis (Greek for “hearing” or “listening”) draws on all the various elements of OBSCURA‘s signature sound and combines those qualities into a cohesive and mind-blowing whole. Today the first music video from Akróasis for the title track has been released. It can be viewed on the Relapse Records YouTube Channel HERE. 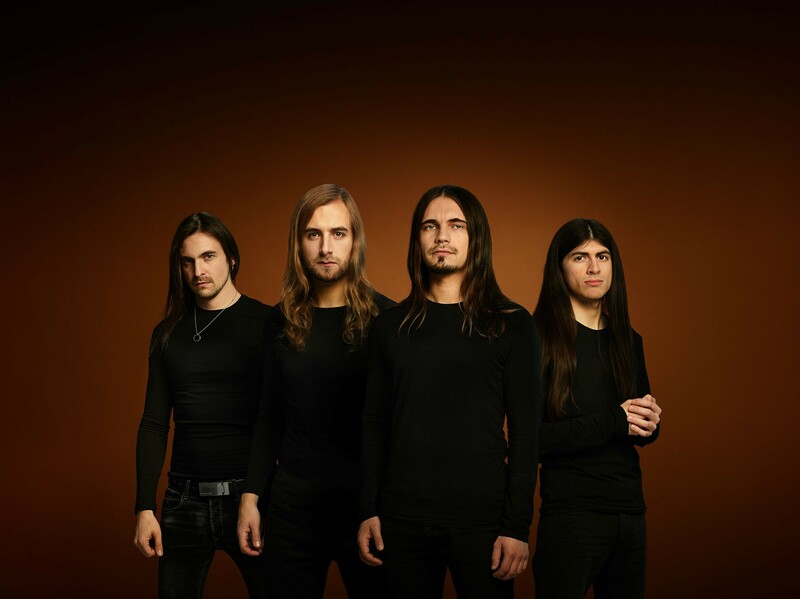 “With Akroasis, OBSCURA produced their grand opus featuring eight songs of fluent arrangements, odd time rhythm patterns and the most high end production in the history of this band. Without question Akroasis became the heaviest and complex record we made up to this day. Our first music video since “Anticosmic Overload” (2009) features detailed shots of every instrument and the amazing musicianship of our new members.” -says OBSCURA founder and frontman Steffen Kummerer. Akróasis will be released February 5, 2016 via Relapse Records. The album will be available in CD, 2xLP and Digital download. Physical pre-orders for Akróasis are available HERE and digital pre-orders can be found HERE. A trailer for Akróasis can be seen HERE. OBSCURA will provide direct support in Europe for Death DTA on the “European Thoughts Pattern” tour. The tour kicks off March 24th in Strasbourg, France and runs through April 12th in Riga, Latvia.